Lenore has been dedicated to dance for many years, firstly as a student, then as performer, dance teacher and adjudicator. 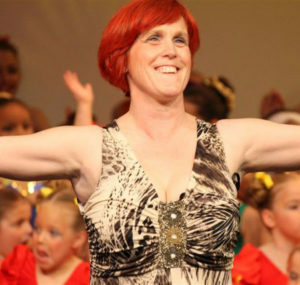 Lenore has been teaching dance for over 25years, having previously danced professionally in commercial dance and as a producer/choreographer/dancer for the Queensland Ballet School’s Touring Programmes. She performed with Queensland Modern and Contemporary Dance Company and was a founding member of Contemporary Dance Theatre. Lenore has studied contemporary technique (Graham and Cunningham) and performed many contemporary works by Australian choreographers such as Jacqui Carroll, Grahame Watson, Nanette Hassell, Russell Dumas and Cheryl Stock. She also studied acting under acclaimed American actor and director, Robert Gist. Lenore ran a successful dance and musical theatre studio in Brisbane for many years and is pleased that many of her students are now performing professionally both in Australia and overseas, and many others are establishing themselves as successful dance teaching professionals. Students trained by Lenore have successfully auditioned and continued their dance training at prestigious dance institutions such as: West Australia Academy of Performing Arts, (WAAPA), New Zealand Ballet School, Victorian College of the Arts, Queensland Dance School of Excellence, various Queensland University of Technology Dance and Drama degrees, National Institute of Dramatic Arts, Broadway Dance Centre N. Y., Brent Street Studios, ED5, Dance World Studios, Tanya Pearson Classical Coaching Academy, Transit Dance and Queensland National Ballet School.